Dannie Card earns Beebe Medical Center’s “You Make a Difference” Award for March. As a member of Beebe’s dedicated Security Officers, Dannie, for the past four years, has been a loyal friend and a responsible, detail-oriented team member. He has mentored new candidates within the Department and participated in many worthwhile community endeavors. • Chaperoned youth events at the Midway Assembly of God and sponsored candidates in Defensive Driving seminars. 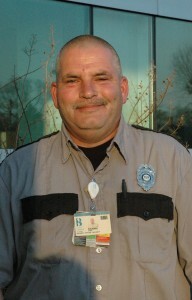 Caption: Dannie Card earns Beebe Medical Center’s “You Make a Difference” Award for March.